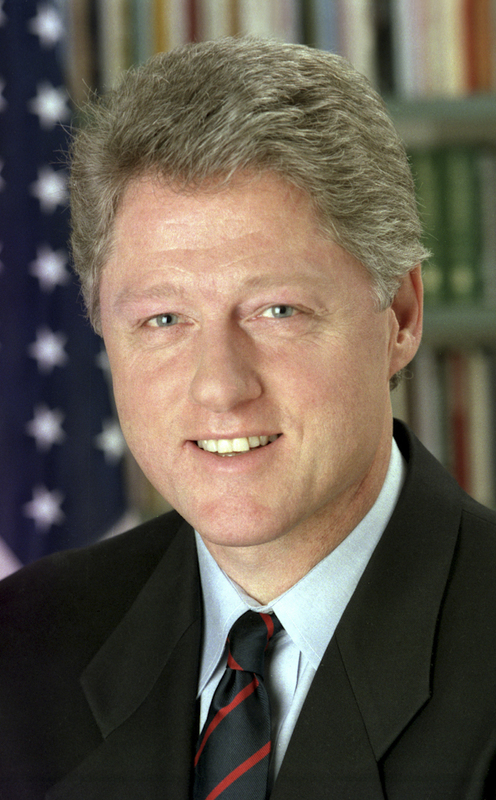 The William J. Clinton Presidential Project was launched in 2001 as a collaborative effort between the Miller Center and the David and Barbara Pryor Center for Arkansas Oral and Visual History, with the cooperation and support of the Clinton Foundation. Drawing on the special strengths of each of these two centers, the Clinton Project has produced an oral history rivaling in depth any undertaken on an American president to date. Following its authoritative interview work on Presidents Carter, Reagan, and George H. W. Bush, the Miller Center conducted in-depth interviews with key individuals inside and outside the White House during the Clinton years. The product is an archive of 134 interviews comprising the Clinton Presidential History Project. Among these were sessions with senior members of the White House staff; Cabinet officers (and some key subcabinet officials); campaign and political advisors; members of Congress (and some well-positioned staffers on Capitol Hill); and several foreign leaders with whom President Clinton had a close working relationship. Invitations to contribute interviews went to both Democrats and Republicans with historically important knowledge about the Clinton presidency. Typically these interview sessions ran for a day-and-a-half, resulting in nine to twelve hours of recordings, although some were shorter, with a few lasting less than an hour. Several respondents contributed multiple interviews. Forty percent of the interviews were conducted in Charlottesville; thirty percent in Washington, D.C.; and the rest in a variety of locations, including London, Paris, Prague, Seoul, and New York—plus Jackson, Mississippi and Morehead City, North Carolina. These interviews were usually conducted by teams of scholars, chaired by a member of the Presidential Oral History Program’s resident faculty. These teams almost always included outside scholars who volunteered their time to assist with the questioning. Nearly fifty political scientists and historians from thirty-eight institutions participated in the Clinton Project, bringing to the interview table their considerable expertise on matters ranging from international economics to White House press relations, from South American politics to the congressional committee system. Without their donation of time and expertise, this public service endeavor would not have been possible. Each interview was originally conducted under a veil of strict confidentiality, to promote open and candid discussion. Consistent with longstanding conventions in oral history generally and the practice of presidential oral history specifically, each interviewee subsequently retained the right to determine when his or her interview would be made public. (In the United States, interviewees own their words until those rights are formally transferred to the interviewer by a legal deed of gift.) Interviews cleared for release by a respondent appear on this website, and were also made available to the Clinton Library, the Clinton Foundation, and the Pryor Center. As further releases are secured in the future, those interviews will be opened across all these channels. For most interviews, a detailed briefing book was created by the Center’s research staff to aid the interviewers with their questioning. Copies of these books, which typically represent one hundred hours of research time, also went to the interviewee. The contents of these briefing books are available on this website, alongside each released interview transcript, although copyright law forbids us to reproduce electronically the text of any published materials used in these books. Researchers on the Clinton presidency will find especially useful the respondent-specific timelines created by our research staff, detailing month-by-month news and secondary accounts about the interviewee’s service during the Clinton years. Click to view the Advisory Board for the project.